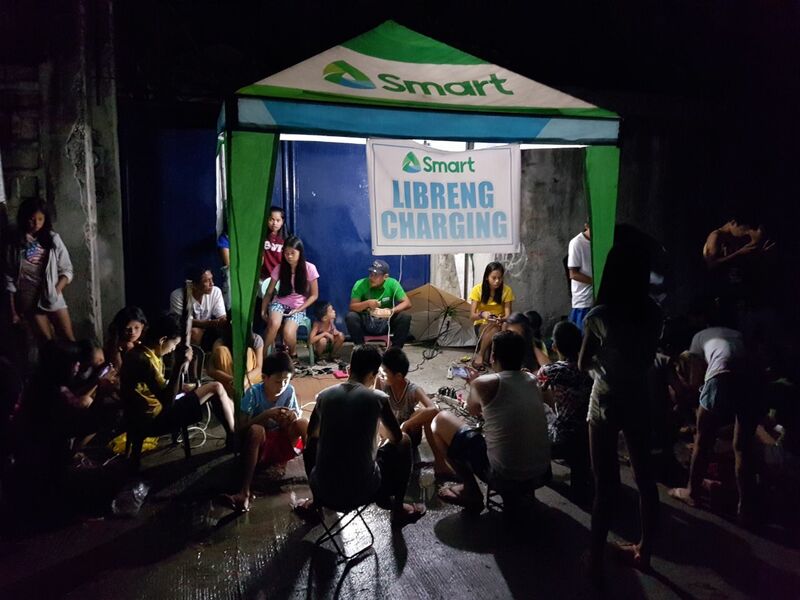 With the extended power outage in the earthquake-affected provinces of Eastern Visayas, PLDT wireless unit Smart Communications is expanding its Libreng Charging efforts to allow more subscribers to stay connected. Smart has extended communications assistance to residents and disaster response units following the magnitude 6.5 earthquake that recently hit Jaro, Leyte, and affected nearby cities, municipalities and provinces. Power outages were experienced in Leyte, Bohol and the Samar provinces after the quake, prompting the telco to open up a number of its cell sites, offices and retail stores in the region as free charging and free calling stations for affected residents. Residents charge their mobile devices at a Libreng Charging station at the Smart cell site in Barangay Linao, Ormoc. Communication support was also provided to Leyte’s Provincial Disaster Risk Reduction and Management Office, for easier coordination in the province’s three worst-hit localities—Ormoc City, Kananga and Jaro. Smart has also partnered with local government units, and its distributor network in the region to set up more Libreng Charging and Libreng Tawag centers in strategic areas such as the local gymnasium and the provincial loading stations. Recognizing communications as an important form of relief, Smart has been consistent in immediately providing communication as aid in the form of free calls and charging services, and emergency communication links during disasters, to help government and humanitarian agencies coordinate and deliver more effective relief efforts to affected communities.